I would like to introduce myself and share my background with you. 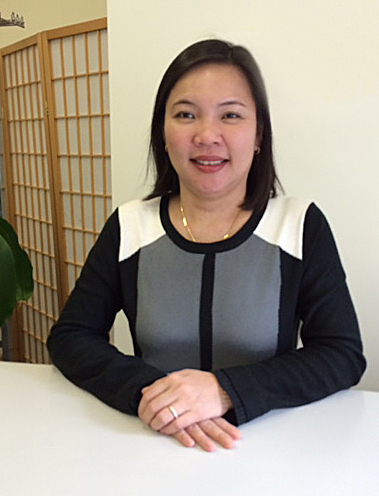 I am Trang Nguyen, the owner of Nguyen’s Alteration. I was born in Saigon, Vietnam. In my home country I faced a number of hardships and challenges, yet I was determined to make something of my life. Thankfully, I overcame these problems and was able to come to the United States of America. When I was a young woman growing up in Vietnam, I had to balance going to school with the work that I had to do to help support my family. When I was in school, I focused on my lessons; when I was at work I dedicated myself to sewing new clothes and making alterations. While I was in Vietnam going to school and sewing, I sought to learn all that I could, both from my teachers at school and from my fellow employees in the workplace. After I finished school and worked at being a needlewoman for a few years, I realized that I had a talent for making and repairing clothes. The more that I stitched, the clearer I realized that I wanted to learn more and become the best seamstress that I could be. Being so determined, I never stopped learning how to make and remake garments. Unfortunately, learning in my home country was limited and I hoped to expand my possibilities by moving beyond my country and my kin. In the winter of 1993 I came to the United States where my gifts grew and my dreams got larger and larger. I found work at two well known retail companies. While working at Joseph A. Bank and Nordstrom, I won approval from my managers and encouragement from my fellow employees. Both my bosses and my co-workers taught me more and more about the things that a good dressmaker can do to meet the needs of customers. Because of my various experiences, I can do all kinds of jobs from simple to major alterations. After a few years of working and getting established in my new country, I got married and had two children, a girl and a boy. This was both fulfilling and exciting for me, but there was one other thing that I deeply desired – to have my own business. Now the dream of my life has come true; I have begun my own business — Nguyen’s Alteration! Because of this accomplishment, I feel like a free bird, flying toward my dream. My family, friends, and customers have been supportive and encouraging. Because of my long and broad experience I, Trang Nguyen, work with all types of garments, ranging from men’s suits to women’s dresses, and children’s uniforms. I can help my customers who have special repairs that require precision and I am committed to do that. When you visit my shop, Nguyen’s Alteration, I pledge to give you excellent service, and help you feel comfortable in our dealings with each other. I promise to use my experience to serve your creation and alteration needs. It is my deep desire for you always to feel confident and comfortable at business meetings or social gatherings when you wear your suit or dress that I have tailored. From the bottom of my heart, I appreciate my loyal customers who have supported me from the beginning until this very day. I am confident that with their help will build a great business by giving dedicated service. Again, I am so thankful to those people who have chosen Nguyen’s Alteration. With your dedicated support, I can provide a service our community needs.